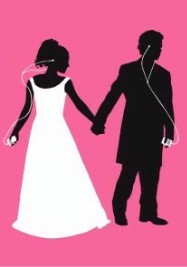 Wedding Music: iPod, DJ, band, musician, etc. Posted on June 26, 2011 | Comments Off on Wedding Music: iPod, DJ, band, musician, etc. Music is one of the most important parts of your wedding reception, but what you choose like many other elements can be the difference between saving a few dollars and breaking the bank. Usually the big choice is between a costly band or wedding singer and a somewhat cheaper DJ. However, couples are finding many different ways to save money while making sure their guests are thoroughly entertained. Let’s face it, there’s nothing like live music to get your guests going. 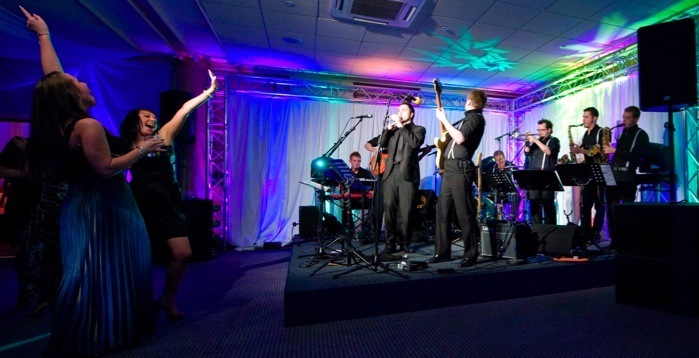 This can only be attained by hiring a live band for your wedding reception, and having a specific type of band can give the perfect touch to your themed wedding with the music they play and the tempo they use. However, a live band also has its drawbacks and the main one is the cost. A live band can cost anywhere from $2,000-$15,000, you’re going to want a really good band so penny-pinching here will do no good. Most bands only have one signature sound and they are not able to change-up the tempo as much as the crowd would like them to. You can’t expect to have the band playing the entire night so while they are taking a break it is likely that they will leave a CD playing for you, that has been known to clear the dance floor really quickly. 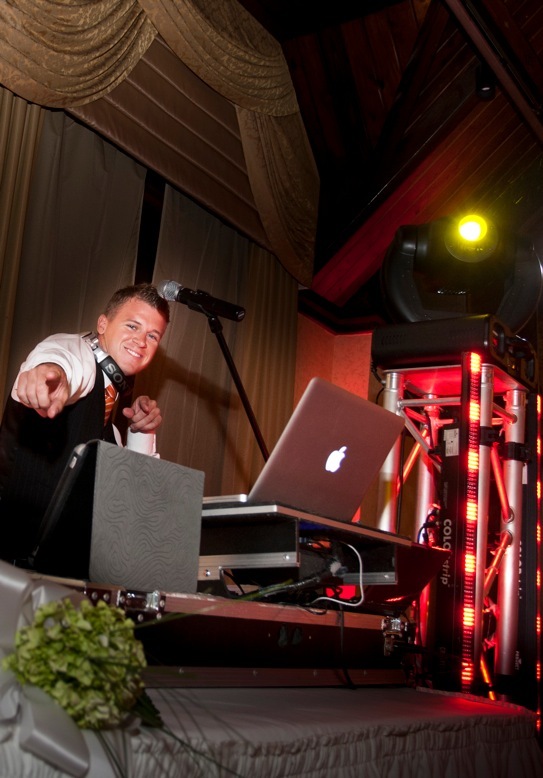 When you use a DJ at your wedding reception your also in for a great treat. You can hear your favorite songs sung by the original artist rather than a cover band giving you a dry imitation. Most DJ’s come equipped with thousands of songs so you will be able to hear a wide array of great songs without any repeats ( unless you want them of course).The best thing about your DJ is that even when he needs a break the music will never stop.The one and only drawback of a DJ is the possibility that you may get a someone who is bored with doing wedding receptions, this can be a real downer on your big day. Just be sure to meet the person that will be your DJ before the day of the wedding. The newest trend in wedding music is the “iPod reception”, this is a reception that is solely DJ’ed by your own iPod. The best thing about using this method is that you will be saving a load of money on your music because renting the sound equipment for your iPod is not as expensive as hiring entertainment. This method is also great because you have complete control over the music you will hear, and you can tailor your playlists for each and every portion of the reception. The drawbacks of this method? There is no professional MC for your reception so you will have to depend on your closest friends or family members to take over this role ( this can be tricky and even scary if everyone’s enjoying the bar). The music will lack a “professional” feel if not blended correctly on your computer’s itunes.The sound equipment that you will rent will need to be picked up, set up, taken down, and then returned, that can be an extra hand full if you don’t have enough help. Picking your music should be fun, your entire planning process should be fun, so ensure that you are not stressed. This entry was posted in Wedding Advice & Tips, Wedding Details, Wedding Planning and tagged bridal, budget & finance, Layne Corban, marriage, wedding, Wedding Day, Wedding Details, Wedding Planning, Weddings. Bookmark the permalink.